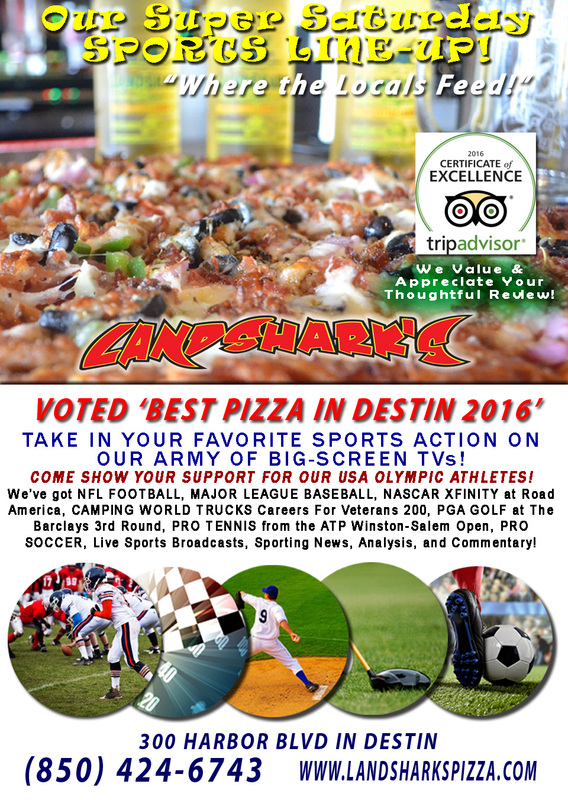 / Best Calzone in Destin FL / T.G.I.Calzone Friday in Destin – GREAT FOOD & DRINK @ LANDSHARK’S $6.99 TWO-TOPPING CALZONE & NFL! 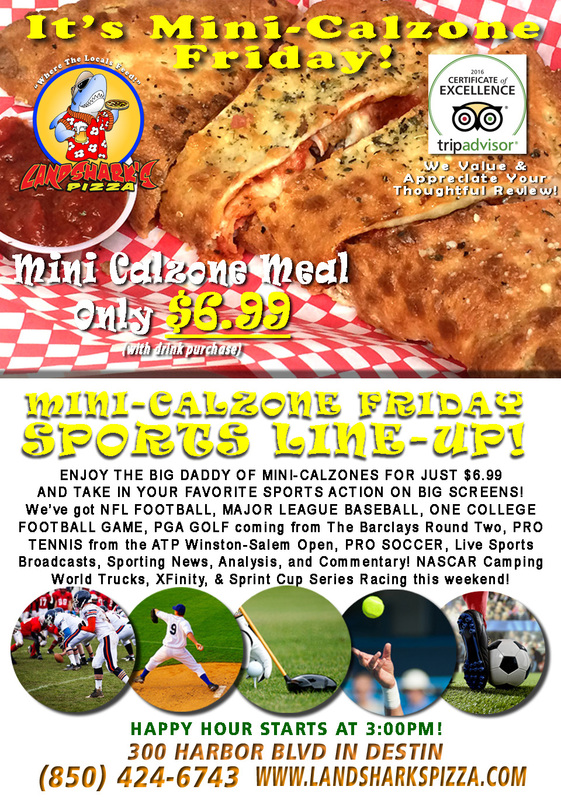 T.G.I.Calzone Friday in Destin – GREAT FOOD & DRINK @ LANDSHARK’S $6.99 TWO-TOPPING CALZONE & NFL! 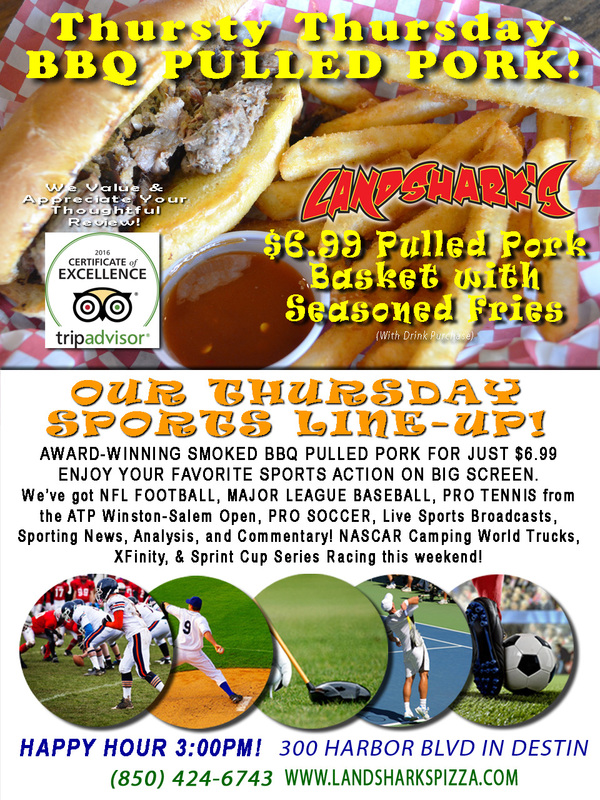 IT’S THE WEEKEND, GREAT WEATHER, GREAT FOOD & DRINK @ LANDSHARK’S! Kick it off with a $6.99 TWO-TOPPING CALZONE! NFL, College Football & More! 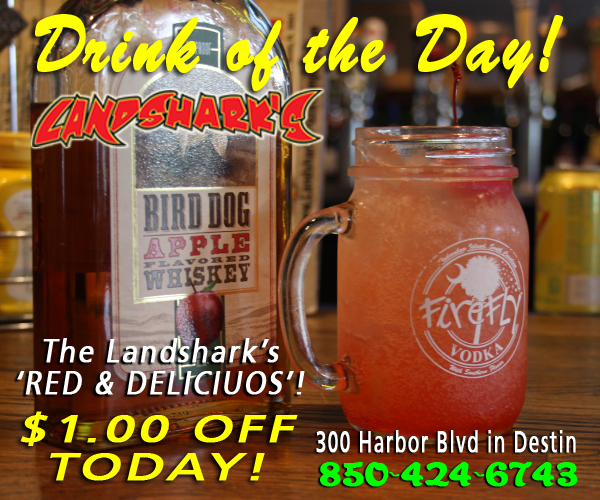 THE LANDSHARK’S DRINK OF THE DAY – $1 OFF AN ICY-COLD, SPIRIT-LIFTING ‘RED & DELICIOUS‘ crafted with Bird Dog Apple Flavored Whiskey! That dog’ll hunt, yessir! SPORTS ON OUR ARMY OF BIG SCREENS – Today we’re showin’ NFL FOOTBALL, A COLLEGE FOOTBALL GAME (California vs. Hawaii), MAJOR LEAGUE BASEBALL, PRO SOCCER, PRO TENNIS, PGA Tour 2nd Round Action from The Barclays at Bethpage Black with $8,500,00.00 on the line, plus plenty of other Sports Broadcasts, Sporting News, Analysis, and Commentary! NFL This Week: Three more days of smash-mouth, desperation football as overbloated pre-season teams are forced to whittle away the weak to forge a core of mighty warriors fighting to get to the Superbowl! 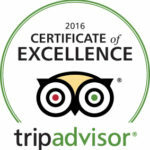 Previous Post: « Great BBQ, FANTASTIC Price $6.99 Award-Winning Smoked Pulled Pork NFL FOOTBALL on Tap!